As far as I can remember, the exciting part of Josefstrasse ended at the restaurant JOSEF. 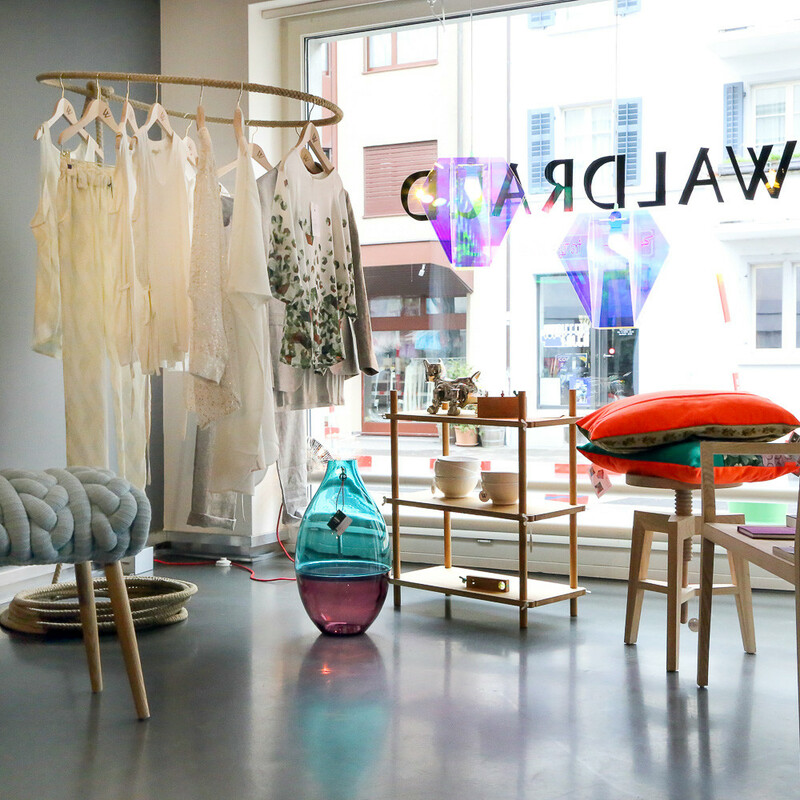 But since Ann, Daniel and Lorenz opened Waldraud a little over two years ago, it's worth taking the few extra strides to 142 Josefstrasse, where you’ll find the ultra-trendy concept store, bearing resemblance to a museum shop. In the store, Ann, Daniel and Lorenz present a unique selection of young, emerging, but also established brands for Switzerland. Their range is a combination of especially extravagant, amusing and provocative objects from the fashion and furniture industries. When entering the store, I already feel that I want to unhurriedly take the time to examine all the unusual and witty design products here. First I steer towards one of the shiny, colorful coat stands, which I later learn was the first project ‘Max and the Mirror' of the new industrial design company of Austrian Peter Pichler. Now I clearly remember what the mirror colors of the clothes racks remind me of - the cool ‘Zilla Bags', which his sister Sylvia designed, also sold at Waldraud. Amusing, I thought, as Daniel begins with a small tour of his trophy collection. 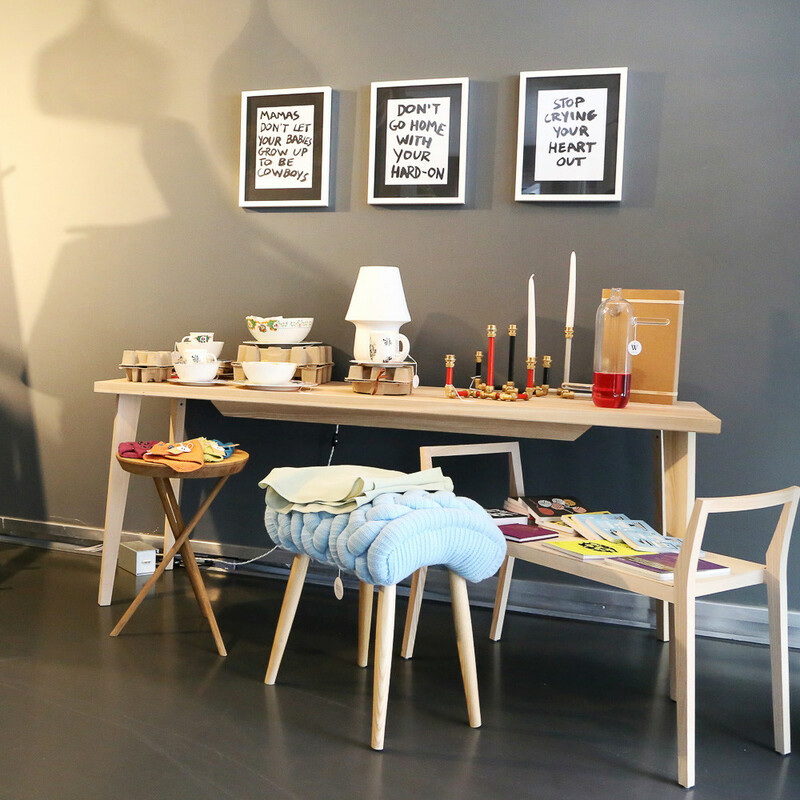 Among them are very innovative objects to prototypes and exclusive creations for Waldraud. 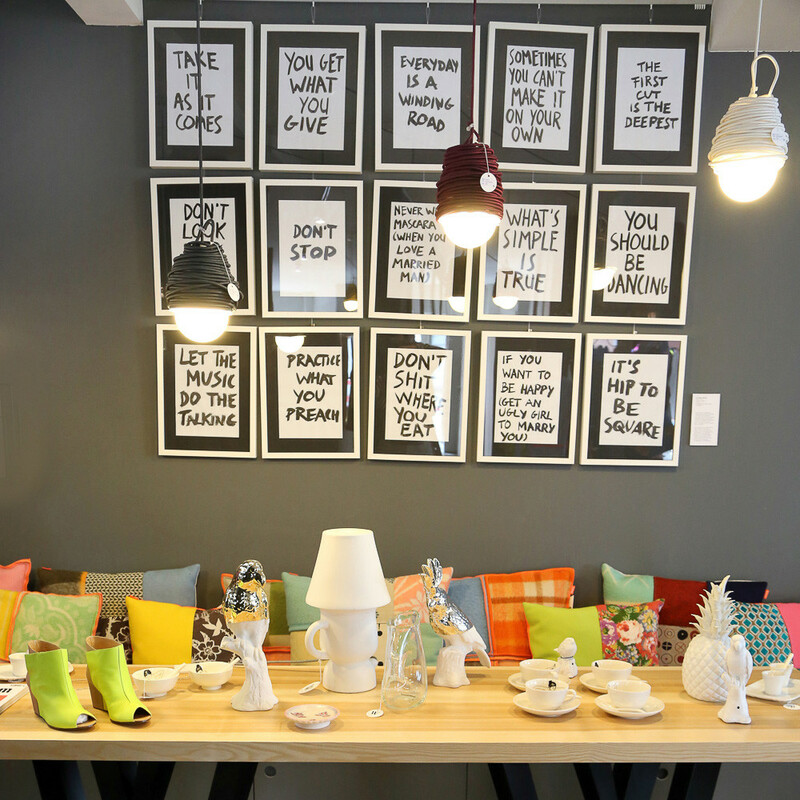 Daniel tells me the curious and charming stories behind the 'Zieharsofika' by Meike Harde, the 'MeS' pillows and plaids by Marlies Spaan, the first energy saving design lamps of 'Plumen' and the 'Foekje Fleur' pastel vases. Back to the clothes racks, on which hand-picked, wearable(!) avant-garde fashion labels are presented. 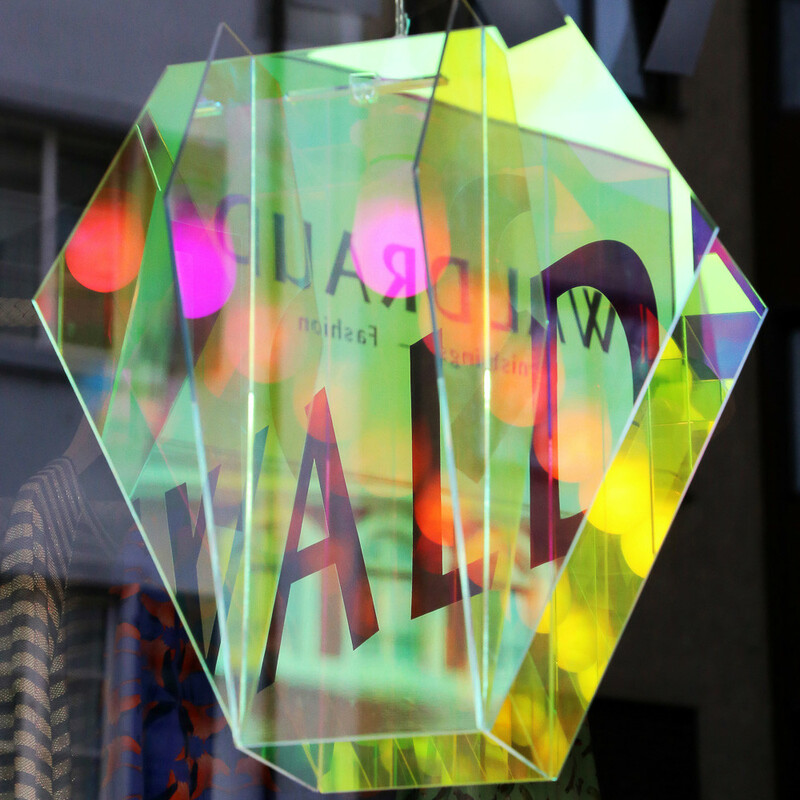 It is important in Waldraud that the clothes not only look extravagant, but are also high in quality. Here are brands such as 'Les Prairies de Paris', 'Azabala', 'Stine Goya' and 'Comme des Garçons'. And for men, Waldraud has several fashionable, somewhat more subtle, highlights such as 'BGWH' (Brooklyn We Go Hard) and 'Common by Common Affairs'. One thing is clear, the three founders have Waldraud so far ahead in the furniture design and fashion scene, that occasionally a customer from New York or Japan calls and requests a particular product to be delivered. 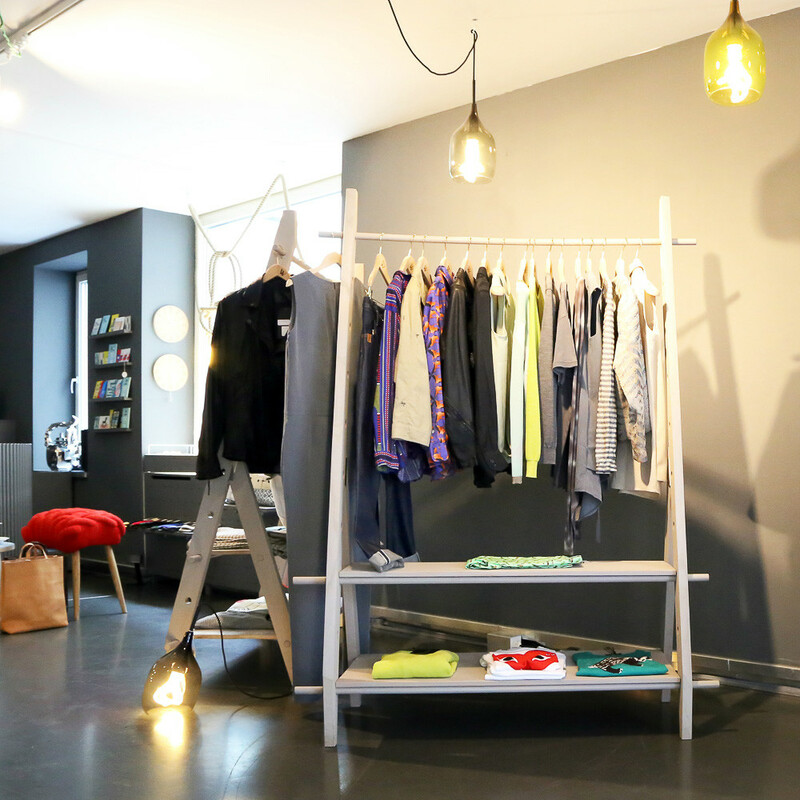 With their selection, Ann, Daniel and Lorenz trust the people of Zurich to try something different and encourage them to have their own individual style. Quite zeitgeisty!